The excitement of visiting a new city can only be topped by returning to a place you love. 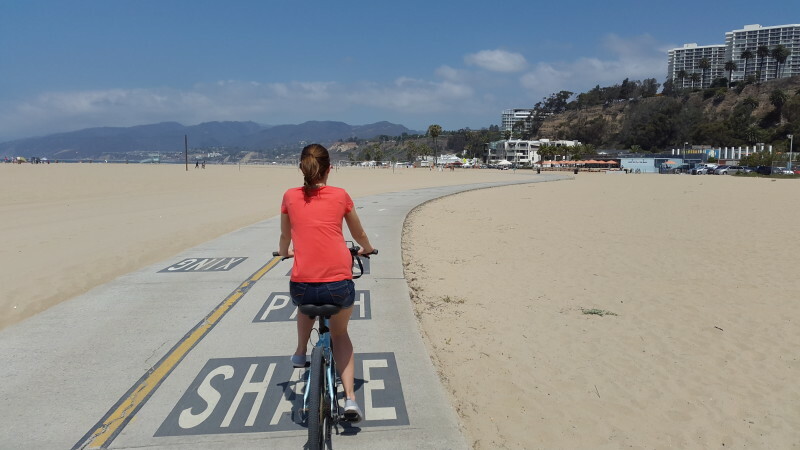 I visited Santa Monica for just one day when I came to the USA on a holiday in 2013 – that sea breeze, sandy vistas and sunshine was a welcome respite from the otherwise concrete jungle of LA. When I discovered I had a two night layover in LA en route to Seattle back in August, I knew exactly where I wanted to locate myself. Given I was hopping off a 15 hour flight from Sydney, my plan was for plenty of sunshine, great food and beach time – not sitting in city traffic. With that, I booked myself into the Ocean View Hotel in the heart of Santa Monica. It’s hard to compete with a seaside location for this Aussie, and Santa Monica has so much to love. Sitting by the beach, it feels pretty much like the antithesis of Hollywood. An artistic, eclectic and walkable city with a huge outdoor focus, plus some of the best restaurants and bars in LA. 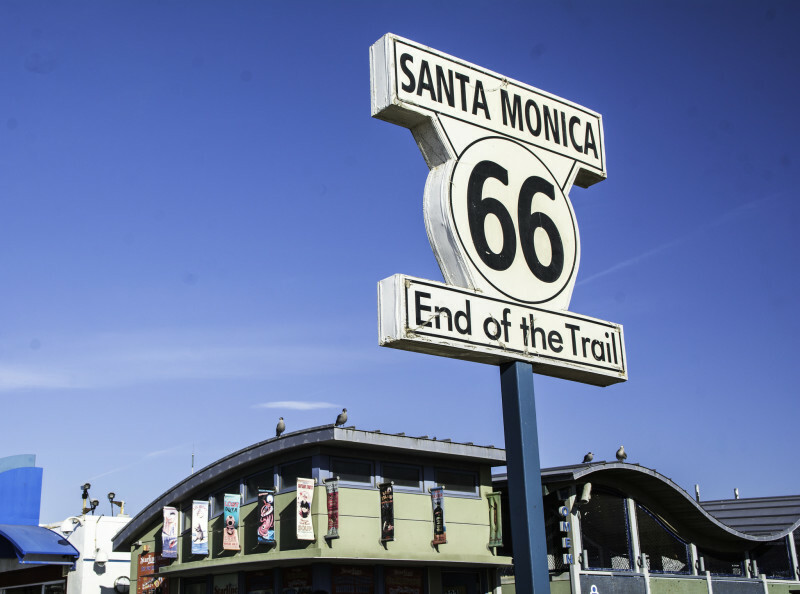 In two days I barely scratched the surface of what ‘The End of Route 66’ has to offer, but it gave me the chance to absorb the feel of the city a little bit more – and get to know an LA neighbourhood instead of Hollywood Boulevard. Here are some of my favourite activities, eats and sights around town. 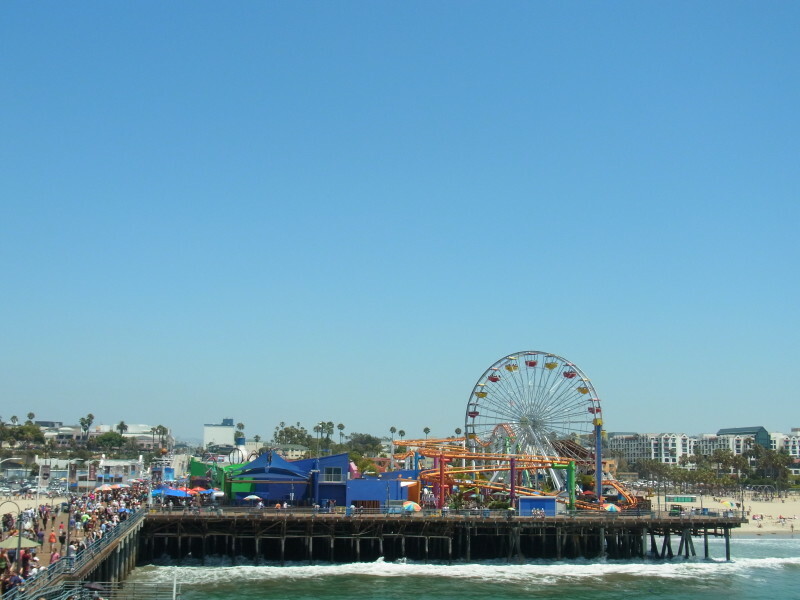 Wander to the end of the iconic Santa Monica Pier for photos and people watching. Cool off afterwards with a swim at the beach (to escape the crowds I prefer to head further away from the Pier). Stroll along Third Street Promenade, the city’s shopping hub, and stop for beers at the famously kitsch Barney’s Beanery, where number plates hang from the ceiling and the bar stools are old car seats. For something different, check out steampunk store jAdis or the Gehry House, or spend the afternoon at Bergamot Station, which houses the Santa Monica Museum of Art along with many other galleries. 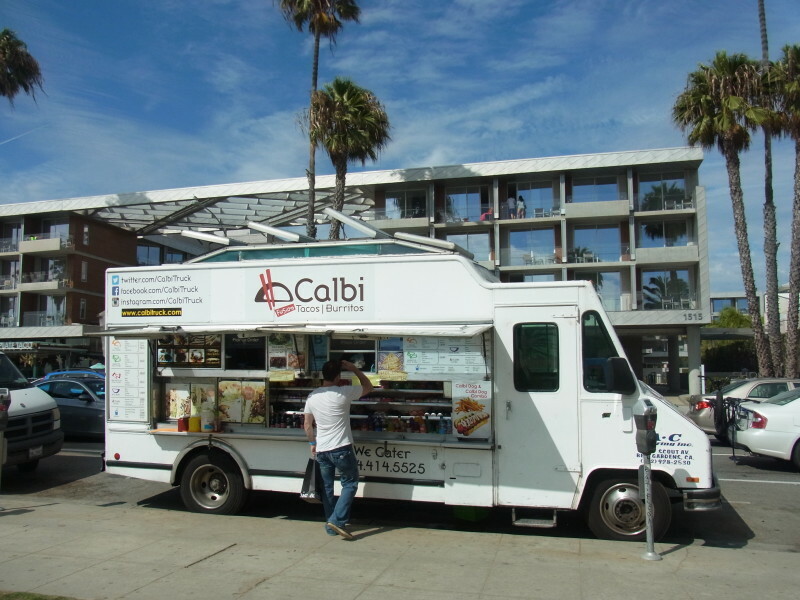 Santa Monica has a thriving food scene, and one that should be explored with an empty stomach. My first stop after ditching luggage at the hotel was one I had been long awaiting – Korean BBQ taco truck! Then it was off to True Food Kitchen for a green juice to put some goodness back in my belly after a night of plane food and red wine refills. 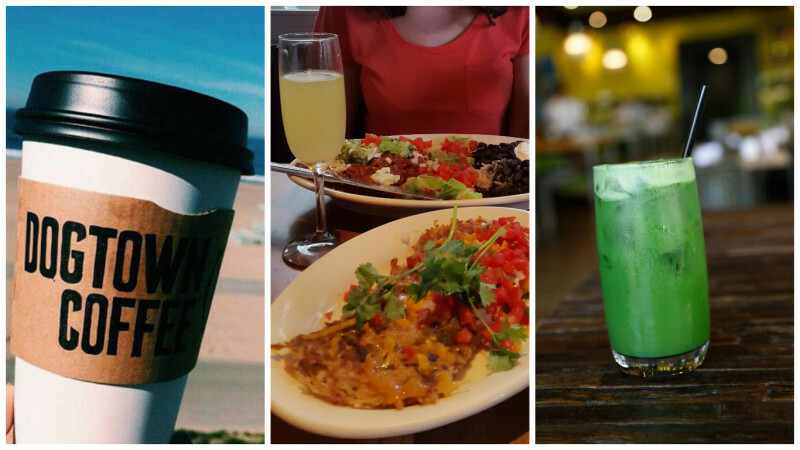 For breakfast, I can’t go past M Street Kitchen for huevos rancheros, Mexican hash browns and mimosas (there’s also an onsite bakery serving up amazing muffins and more). Nearby, Dogtown Coffee serves up delicious espresso, acai bowls and granola – the perfect start before hitting the beach. If in town on a weekend, a breakfast burrito from the Farmer’s Market is a must. Hit up happy hour at Bar Chloe. The tommy’s margaritas and guacamole dip is even better than the very cool décor. 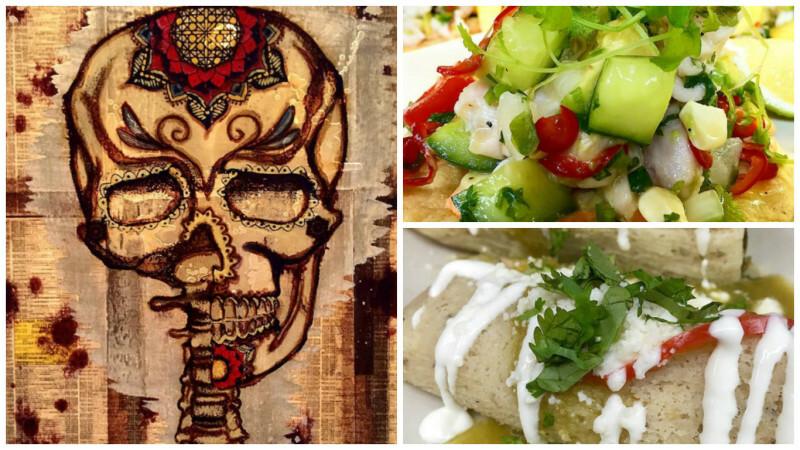 Mercado serves up fresh, inventive and extremely tasty Mexican food. You won’t find any tex-mex burritos here, instead choriqueso, tostaditas de ceviche, tamales – all made from scratch on premises and sourced from local farmer’s markets. If your palate is craving Asian instead, Robata Bar is a Japanese style pub right on the main strip offering some of the best skewers, sushi and sashimi in town. 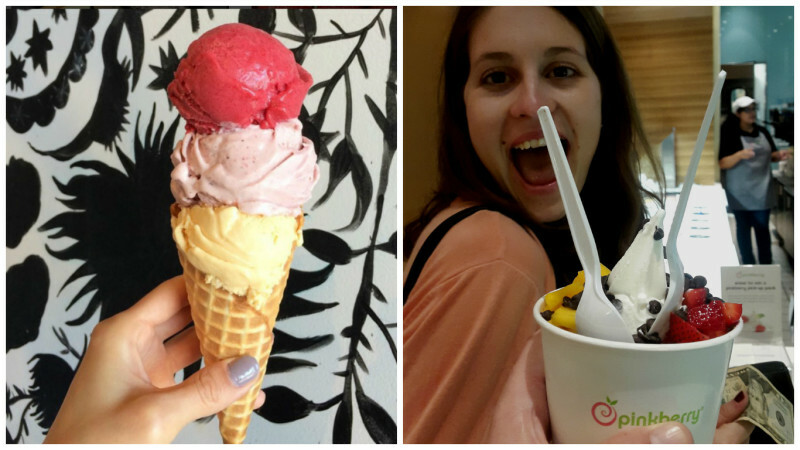 Sweet toothed satisfaction can be found at Sweet Rose Creamery. Their ice-cream is made from scratch on premises each day, with the menu changing based on what ingredients are available from the farmer’s market. And of course, fro-yo.. because it’s everywhere and it’s delicious. Going to gigs in random cities around the world is one of my favourite things about travelling – whether I know the band or not it’s always a lot of fun. 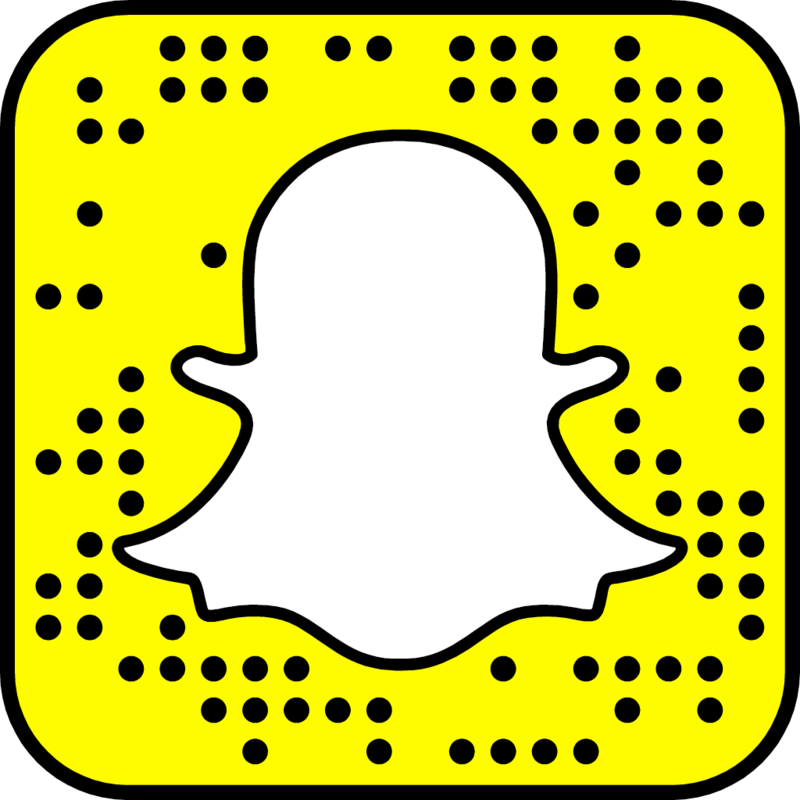 When in Santa Monica, check out Harvelle’s Blues Club or bars such as TRiP, Misfit and Basement Tavern. 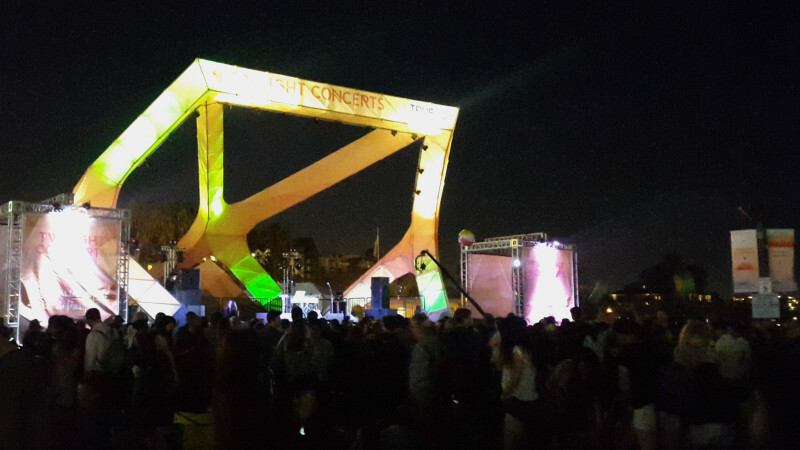 The Summer Twilight Concerts at Santa Monica Pier attract huge crowds, and in some kind of life-choice affirming coincidence, I arrived fresh off the plane from Sydney the very evening of ‘Australia Rocks The Pier’. It felt like Uncle Sam was welcoming me with open arms as I spent the evening listening to DMA’s and Ben Browning from Cut Copy underneath the iconic carnival lights. Lastly, and to me, most importantly – watching the sun go down over the Pacific Ocean. Is it possible to ever tire of a beautiful sunset? What part of LA do you prefer to explore? 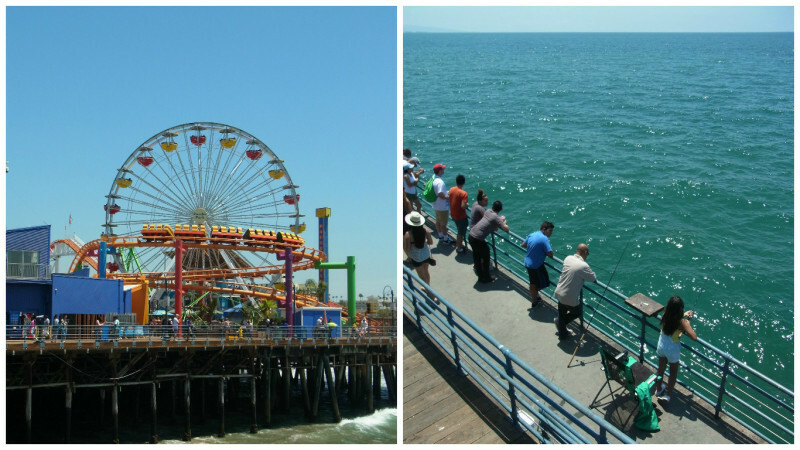 What are you favourite things to do in Santa Monica? Share below! Read more from Live Recklessly: West Coast Road Trip, Why you should visit Monterey California, San Francisco’s Mission District Street Art and My journey through America’s national parks. Pin the graphic below to share this post or save it for later.